Ezekiel is one of the stranger books of the Bible. This book contains content ranging from a litany of prophetic judgments to a vision of a valley floor of old bones being raised to life by God. It can be difficult to look at this variety and see how the book can be relevant. But Ezekiel also emphasizes personal responsibility in one’s walk with God. God loves to save those who turn to Him and does not enjoy the death of sinners. This means we not only have a responsibility to constantly turn to Him, but also to tell others to do so. 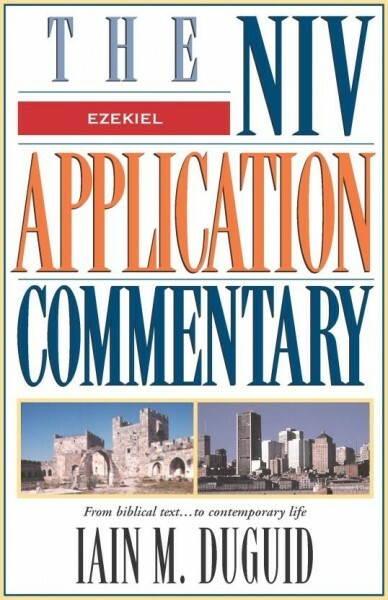 Iain M. Duguid takes on this difficult book to explain it in light of its original historical context and connect it to our everyday lives in this volume of the NIV Application Commentary.